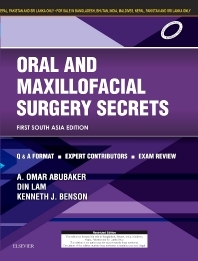 rotations, exams, and board certification in oral and maxillofacial surgery. for the questions you ask yourself. • Core knowledge is presented in the popular and trusted Secrets ® question-and-answer format. experts in the fi eld. resource for the safe and effective practice of OMS. A. Omar Abubaker, Deepak G. Krishnan, Michael J. Grau Jr.